Last month I posted The Myth of America’s Failing Public Schools. I tried to show that America’s average international test scores are low (in the middle of the pack) because of our embarrassingly high rates of child poverty. 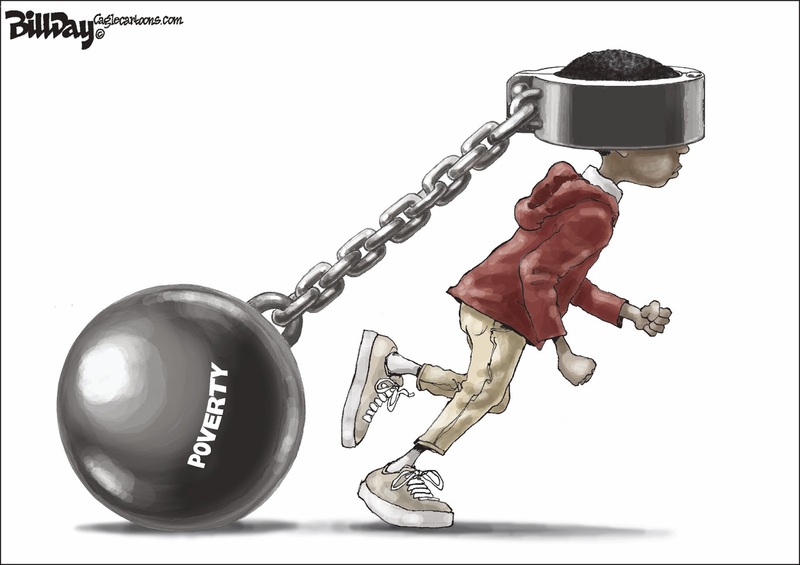 Other factors, however, compound the problem of more than 20% of American children living in poverty. A major problem in America’s schools, for example, is economic and racial segregation. Christine Organ writes that we’ve put low-income kids in separate schools that are definitely not equal. …we’ve created a system that relegates low-income students to the farthest corners of public education. 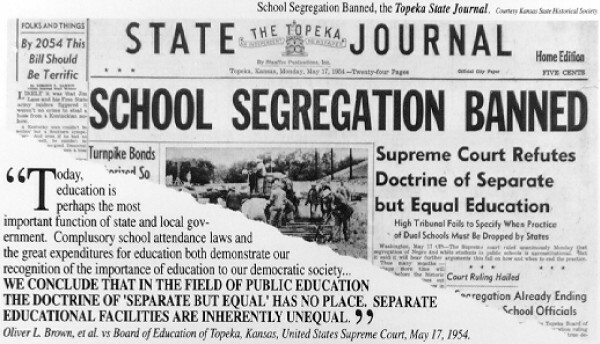 We’ve created a system that, by design, segregates schools by socioeconomic status, race, and ethnicity. Schools in low-income areas don’t have the same resources as schools in wealthier areas. The common complaint about “throwing money at schools won’t solve the problems” is usually made by someone whose local schools have enough money to provide an adequate education for their children. Personnel, materials, upkeep and maintenance cost money. When an impoverished neighborhood needs to come up with money to support its local school it’s going to have more trouble than a wealthier neighborhood. Instead of taking money away from or closing those schools that serve lower-income students, we need to give them more money. We need stop funding schools with property taxes. We need to provide quality summer school programs, parent education classes, and after-school programs. We need to work on making sure that low-income students aren’t also food insecure or coming to school hungry. We need to stop holding PTA fundraisers where parents can “bid” on time with teachers and other activities that give some kids a leg up. We need to pay teachers more and evaluate them on their performance, not on their students’ test scores. Of course, this will take additional funding, and if our kids go to a school that benefits from this messed up have/have-not system, they might be asked to give up something. But as they say, equality feels like oppression when you’re used to benefiting from your privilege, so get used to feeling a little bit uncomfortable. We all want what’s best for our children, but that can’t come at the expense of other innocent children when it comes to education. Those of us who have enough must accept that those who don’t have enough need more, and it’s up to us to share. We should have learned that in kindergarten, after all. Besides, the children of the nation belong to all of us. They are our future. If we improve the lot of “the least among us” we all benefit from an educated workforce and lower incarceration rates. Even if we increased the amount of money going to schools with low-income students by 25% it would still cost less per child than prison…and higher graduation rates means lower prison rates. We would save money in the long run. Those with more than enough, the 1% of the population who received the largest portion of the post-2008-recovery wealth, need to share as well. The point is, we’re either one nation or we’re not. We’re either “in this together” or we’re not. “Choice” is the mantra of the school reformers. They insist that parents should have the choice of where they send their children. The truth, however, is that, when it comes to private and privately run schools, it is the school which chooses its students. Private schools which accept vouchers and charter schools using public funds can either not accept students, “counsel out” those who “are not a good fit” or just expel them outright. In this way, they minimize the number of low achieving students who are allowed entrance. Those children who are rejected often the most expensive to educate. They must then return to the public schools. Public schools accept everyone. Selection bias hides everywhere in education. Sometimes, in fact, it is deliberately hidden in education. A few years ago, Reuters undertook an exhaustive investigation of the ways that charter schools deliberately exclude the hardest-to-educate students, despite the fact that most are ostensibly required to accept all kinds of students, as public schools are bound to. 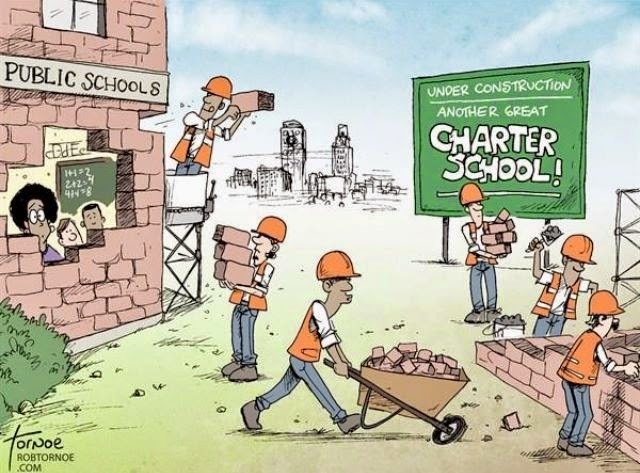 For all the talk of charters as some sort of revolution in effective public schooling, what we find is that charter administrators work feverishly to tip the scales, finding all kinds of crafty ways to ensure that they don’t have to educate the hardest students to educate. And even when we look past all of the dirty tricks they use – like, say, requiring parents to attend meetings held at specific times when most working parents can’t – there are all sorts of ways in which students are assigned to charter schools non-randomly and in ways that advantage those schools. Excluding students with cognitive and developmental disabilities is a notorious example. (Despite what many people presume, a majority of students with special needs take state-mandated standardized tests and are included in data like graduation rates, in most locales.) Simply the fact that parents typically have to opt in to charter school lotteries for their students to attend functions as a screening mechanism. When politicians pander to “reformers” and “reform” minded donors by calling our schools “failures,” they do an injustice to America’s public schools. It is no accident that academic achievement mirrors the country’s economic structures. We will never fix our broken education system in the U.S. until we fix our broken economic system. Students will continue to fail academically as long as they live in fear, hunger and poverty- no matter what educational reforms or policies we enact.